For decades, India has been a source of inspiration for artists in the West. As the recent Guggenehim Exhibition The Third Mind revealed, artists in the United States were looking to India as early as the 1840s. Italian artist Vittorio Matino follows a similar passage to India. His newest series of paintings is the culmination of his ongoing fascination with the color traditions of the Subcontinent. 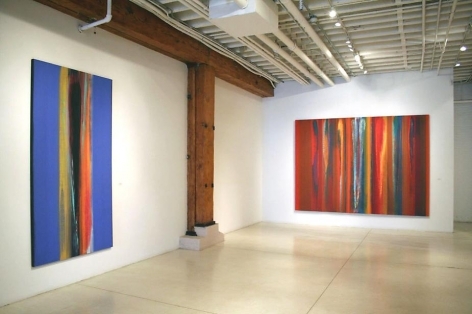 The Milan-based artist has produced vibrantly colored abstract paintings for the past 40 years. 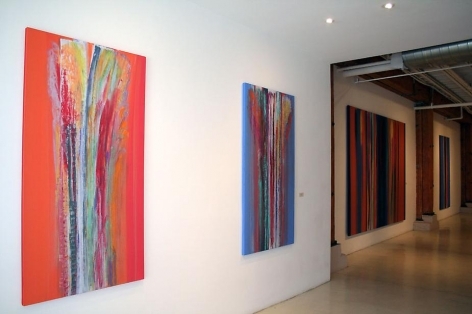 He is best known for his plunging vertical compositions, which he creates by layering paint onto large canvases with a palette knife, then scraping down the center with a brush to expose the brightly stained surface underneath. With this technique, he reveals luminous bands of contrasting colors that overlap against a flat single-colored background. 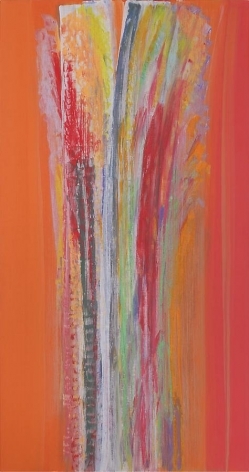 Matino's recent trip to the India inspired a shift toward more exuberant colors and expressive gestures. "I had the impression visiting India that color is victory against dark, against negative forces and against poverty," said Matino. 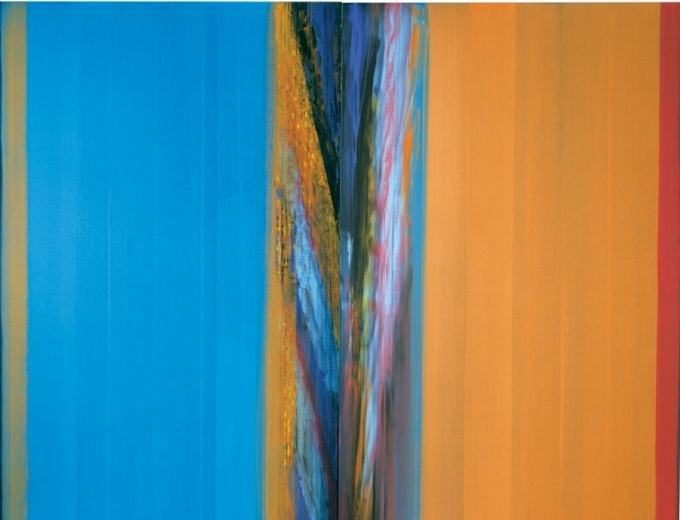 In these latest works, colors are no longer confined to the center of his narrow canvases. 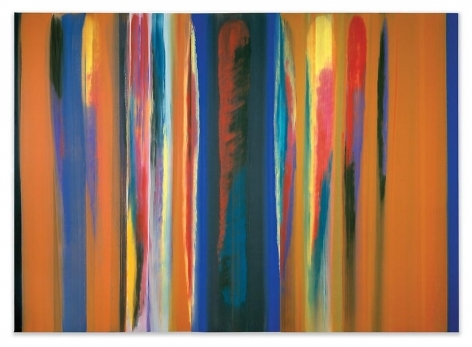 Matino now uses slightly arched strokes to expose a continuum of colors that moves freely toward the edges of the canvas. 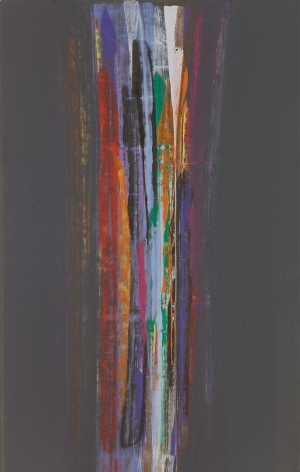 Playing with the translucency of paint, he makes the bands of color swell and contract, giving the illusion of expanding and receding space. 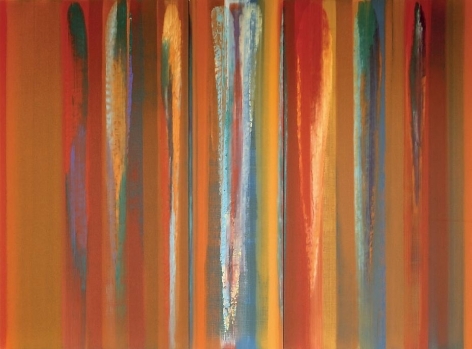 This motion imbues the work with a spiritual quality—the vibrations of color suggest the reverberation known as prana or life force in India. 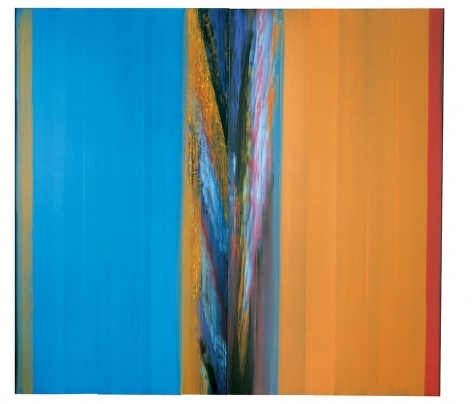 Matino began investigating light and color while living in Schio, in the Veneto region of Italy in the 1960s. He quickly developed a vocabulary that reflected the transparent colors of the Venetian School. 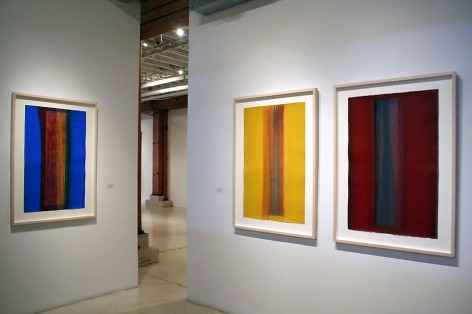 Travels to the United States and Paris in the mid-1970s exposed him to the Post Impressionists and other visionaries including Piet Mondrian, Mark Rothko, and Barnett Newman. Matino's experimentations soon led to the dissolution of form in his work. He focused purely on fields of colors. 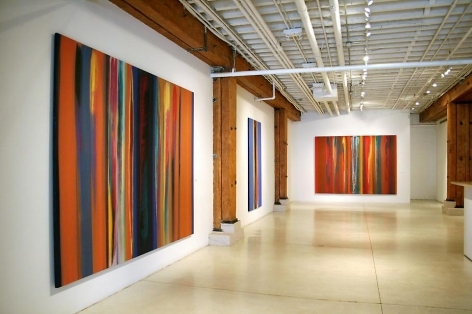 Neither expressionistic nor purely geometric in approach, his formal framework is distinctly his own. Not only has Matino extended the language of the Italian Color Field School but he has also expanded our understanding of color.